Can a Domestic Trust in Another State Protect Your Assets? In the movies and in the news we see millionaires hiding their money in offshore accounts, in foreign countries under strange names, or in accounts with only numbers on them. The underlying strategy is to take advantage of laws of a different country to obtain greater asset protection benefits than what could be obtained here. But what if someone seeking to protect assets, instead of opening an account in another country with more favorable laws, simply opened a trust in a state with more favorable asset protection laws? Could someone simply pick and choose amongst the trust laws of all 50 states and establish a trust in the state where the laws provide the most asset protection? It is possible to do just that, and it’s called the Domestic Asset Protection Trust (DAPT). This is where someone in a state—say Florida, for our purposes—establishes a trust in another state of the person’s choosing. This is really only a strategy for self-settled trusts—that is, trusts where the trust is set up to benefit the same person who establishes and funds the trust. Trusts set up to benefit other people—for example, parents who set up a trust to benefit their minor children—normally get some level of asset protection depending on how they are set up, so the need to go out of state (or overseas) to set up a trust that’s protected from creditors is lessened. But self-settled trusts don’t get that protection. Thus, the efficacy of a DAPT trust becomes an issue. Will a DAPT Trust provide Protection? Of course, if you set up a DAPT trust in another state, and creditors come looking for your assets, the question becomes whether a Florida court will enforce the (favorable, pro-asset protection) laws of the state where the trust is set up, or whether it will apply Florida law where the self-settled trusts get little or no protection. There is little established law on what law would apply in this situation. As a general rule, it is highly likely that Florida law, and not the law of the state where the trust is set up, would apply. The general law of trusts is that the law of the state where the trust is set up should apply. The trust can specify in it the law of another state to apply (as DAPTs would do), but only if the state has a substantial relationship to the trust. That means that if a settlor has no relatives in a state, no homes or property in a state, no business in a state, but is only using the state as a shelter to protect assets, the law of that state probably will not apply. Part of the process of creating a DAPT, however, may involve establishing substantial connections in the state of creation of the DAPT. So even if you currently have no connections to a particular state, it can still be worthwhile to explore creating a DAPT in that state. Even if there is some relationship to the state where the trust is set up, Florida courts can still consider whether Florida has a greater public policy reason to apply Florida law, than the other state does. 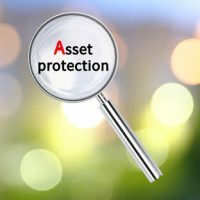 Thus, it may be difficult to use DAPT as an asset protection vehicle, and it may depend on your specific circumstances. Contact Tampa estate and business attorney David Toback to discuss a comprehensive asset protection plan.